Many of the Swedish Vision Forum members have had the great pleasure of working with Heinz Müllner over the years. He was a truly inspiring artist, teacher and friend who is going to be greatly missed. He passed away in September 2012 and it is a great pleasure to see a beautiful exhibition and catalogue being produced with work spanning over 20 years. It has been wonderfully organised by Carin Ellberg, Monica Nieckles, Ebba Matz and Arijana Kajfes. The work looks stunning, vibrant and proves the true soul of Müllner - a man who never could accept any answers without having putting them to the test time and time again. 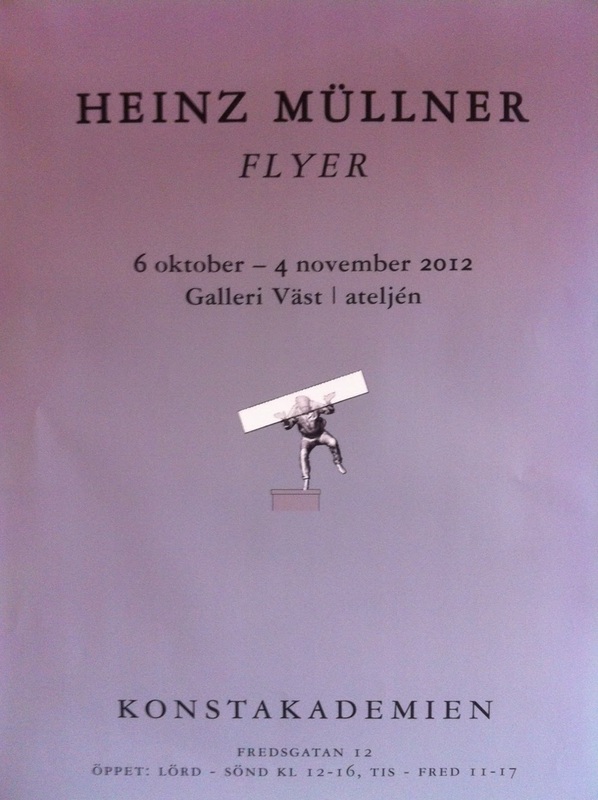 The central piece 'Flyer,' shows a man holding a giant glass sheet. Or is he carrying the weight of the heavens on his shoulder? His shoulder's are raised as if he were an upside-down skateboarder as he balances on the verge of falling down or flying away. It is a beautiful reflection on the human predicament that forces us to continue to formulate new problems and seek new knowledge. 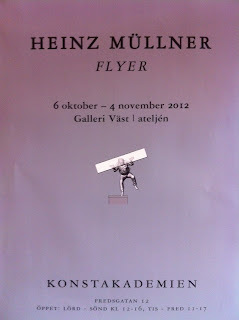 If you are in Stockholm, make sure to see this exhibition and enjoy the pleasure of Heinz's presence in his much lamented absence. More information here.